Justina Blakeney Workshop & Italian Fix! If you've been keeping up with me on Snapchat (amirarahimart) or Instagram, then you may have seen me documenting my trip to Cinque Terre, Italy last week. 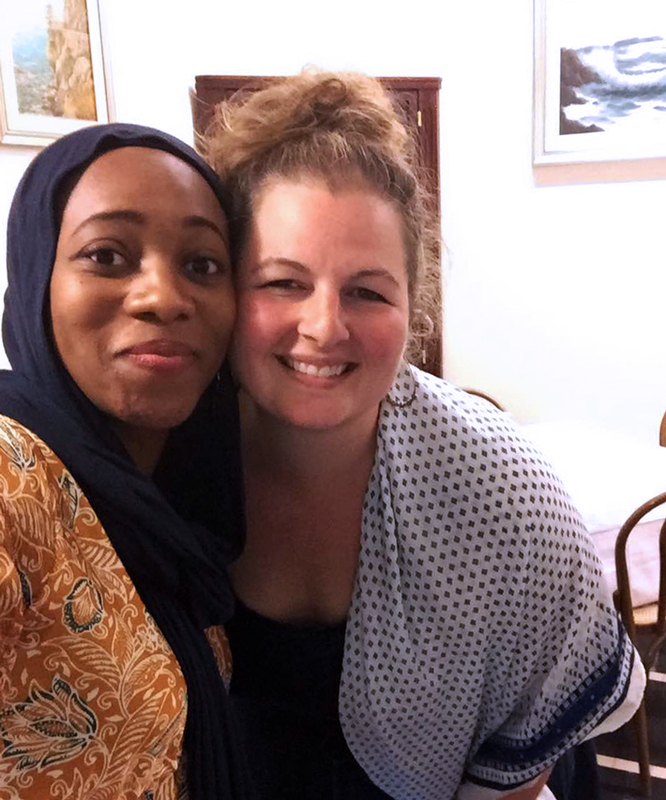 During May 19-24th, I joined dozens of women from all over the world to meet with our social-media spirit guide and leader of all things Jungalow, Justina Blakeney. 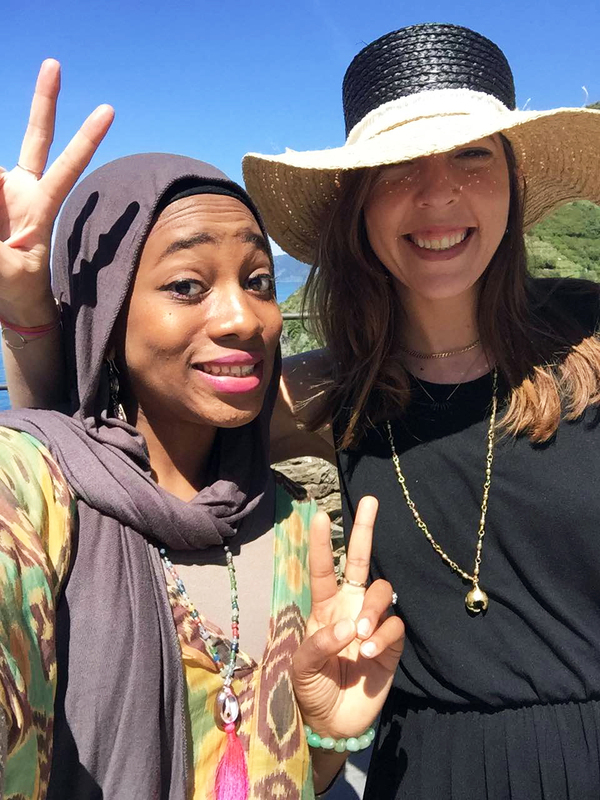 We met in the gorgeous and colorful Italian coastal village, Riamaggiore, for a 3-day workshop designed to light the fire under our feet and get us moving in our creative businesses. If you would have told me that a thing like this existed, I would have screamed with excitement. And that's exactly what I did when an art collector of mine in Abu Dhabi politely shared the news of this trip with me. Needless to say, I booked the trip within the hour of perusing the website. I was taking the leap, and would figure the rest out afterward. And what a leap it was. This trip was truly the trip of a lifetime. Women from all ages came together, many proclaiming that this was their own sweet little version of Eat, Pray, Love. We were the most international installment yet, with a diverse representation of cultures and nationalities including Australia, New Zealand, Brazil, Amsterdam, Singapore, United Kingdom, Phillipines, and Nigeria. Some of the women were bosses in their own right, owning businesses that recently caught the eye of Oprah Winfrey herself. One of the attendees is an actual rockstar. But for the most part, many of us were there on a whim. We've got this creative itch that we have to scratch and we've been blessed to see it turn into profitable businesses. Photographers, designers, fashion gurus, artists, and more, we've plunged through doubt and fear to go on to create businesses that support our families or at least our wanderlust. And now we're ready to see it soar. Enter Justina. Effortlessly cool and collected, Justina took the stage in our castle's conference room (no really, we had class in a castle), and proceeded to blow us away. Within the first few hours, many of us commented after the break that we had already got our money's worth, even though it was just the beginning. By generously sharing her story and her wisdom, Justina got us all to think a little bit bigger, work a little bit harder, and damnnit stop and look for rainbows, too. Some of the key takeaways from the experience was the power of owning what makes you unique, falling passionately in love with your brand, and LOTS of hard work. Justina's work ethic was echoed by our lovely host, Bianca Gignac, owner of Italian Fix and certified boss. Her own personal story of triumph and dedication moved us to tears on the final day and was truly inspiring. Seriously, y'all, this was such an amazing experience. I got lost the first day of traveling (oh those Italian trains) and ended up in Tuscany. But the second I got off the train and was met with the waves of Riomaggiore, all my troubles melted away. I had the best time and learned a ton. Friendships were made, nights were had, and gelato...well, you'll just have to check out their feeds for the rest! 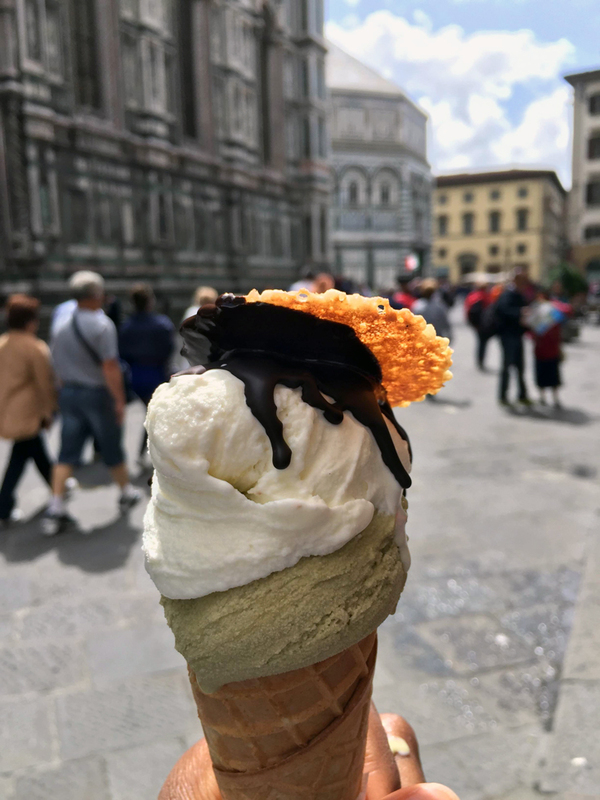 Me, with the best gelato I've ever tasted in Florence, Italy. I decided to go back on my last day there. This time on purpose. Search on Instagram with the hashtag #JungalowinItaly to see more photos! Ciao, bella!